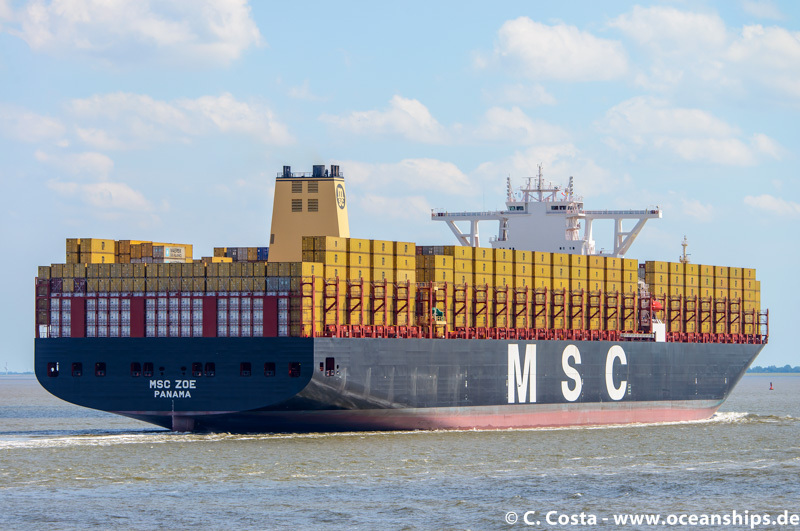 MSC Zoe is passing Cuxhaven during her maiden voyage on August 01st, 2015. 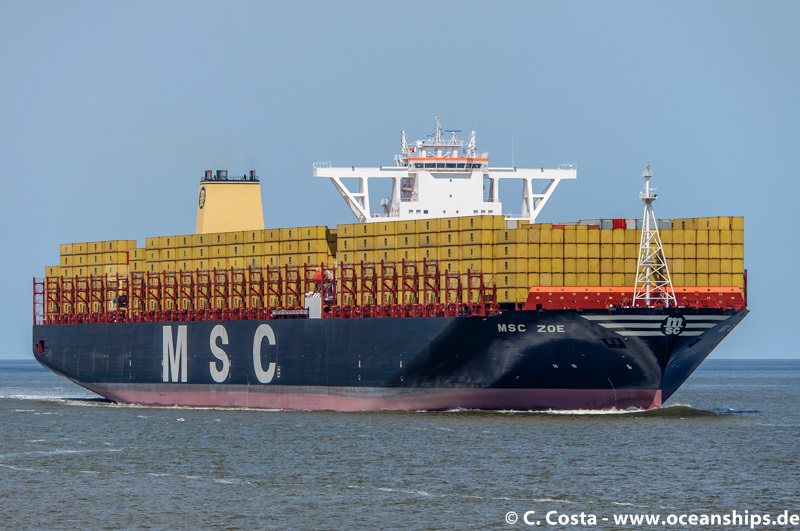 The vessel is bound for Hamburg where the christening ceremony will be held. 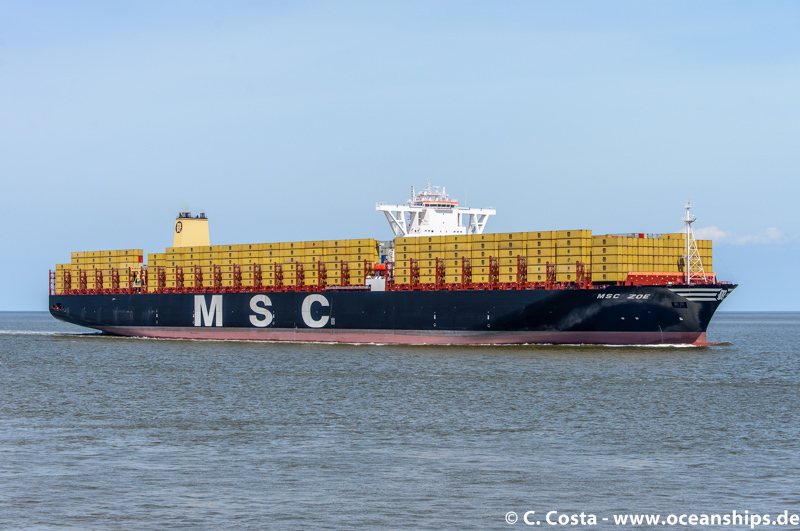 Therefore MSC loaded empty MSC boxes all around the vessel. 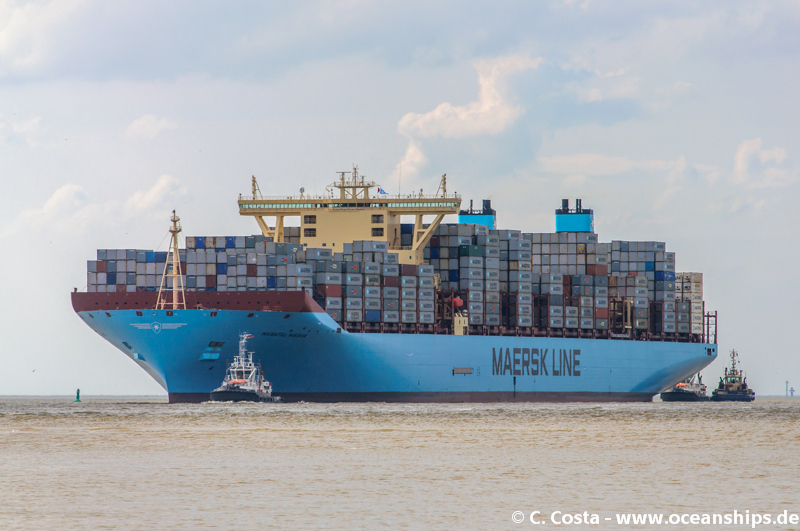 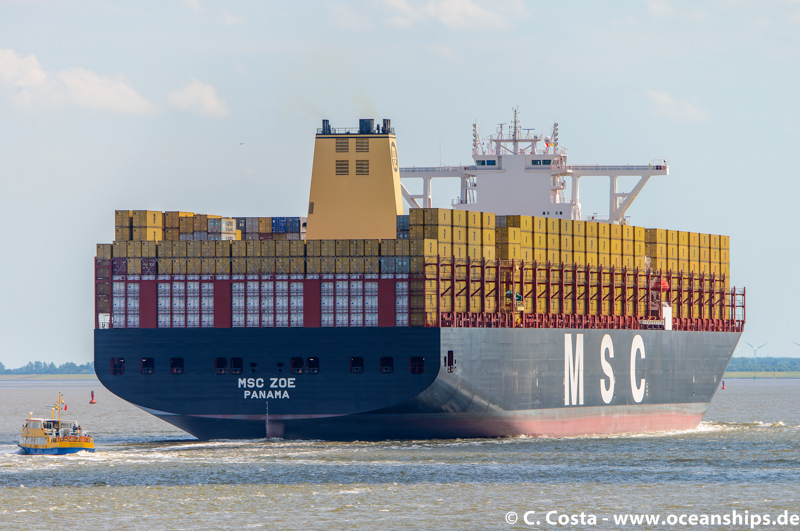 Officially the MSC Zoe and her sistervessels are the biggest container vessels ever built. 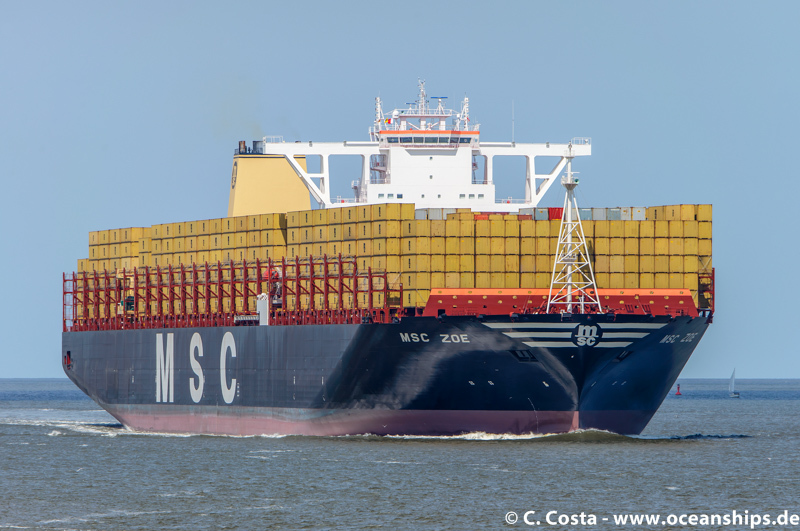 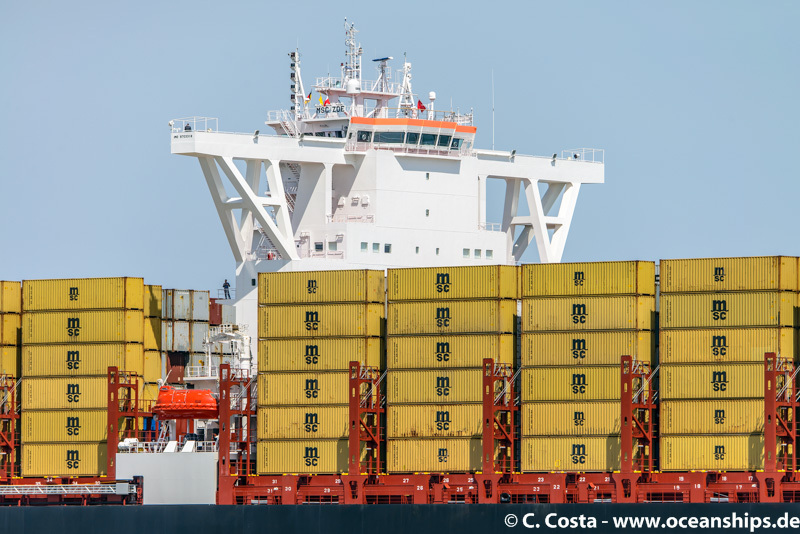 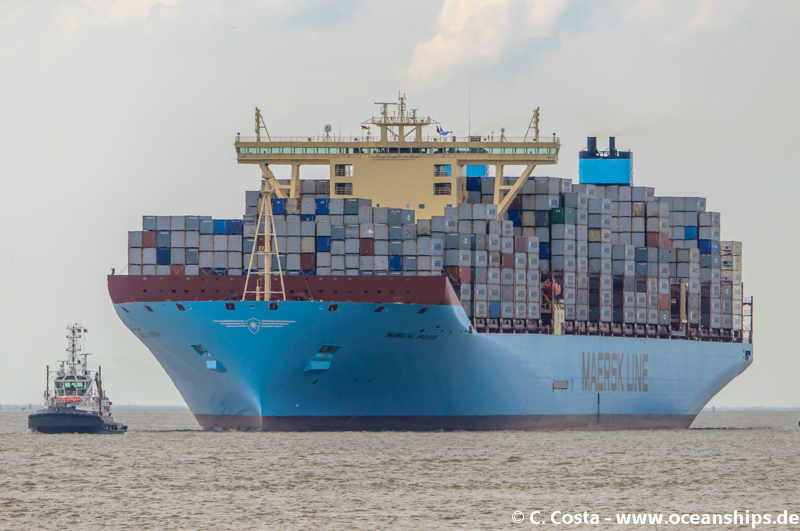 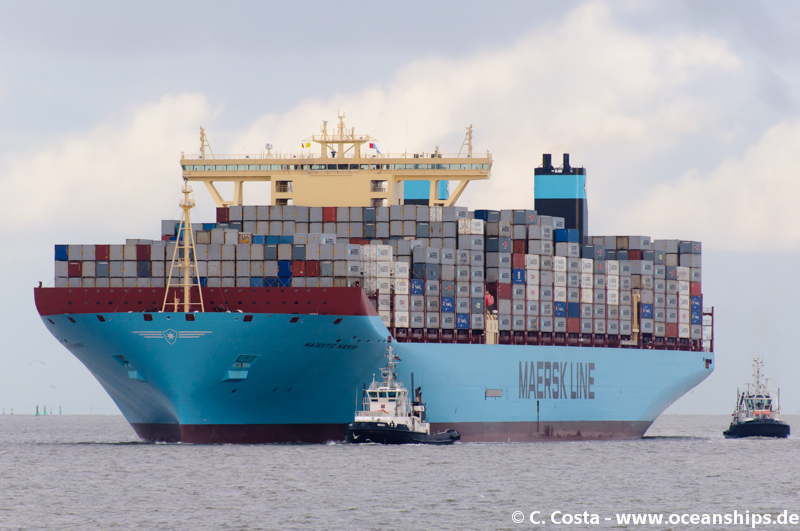 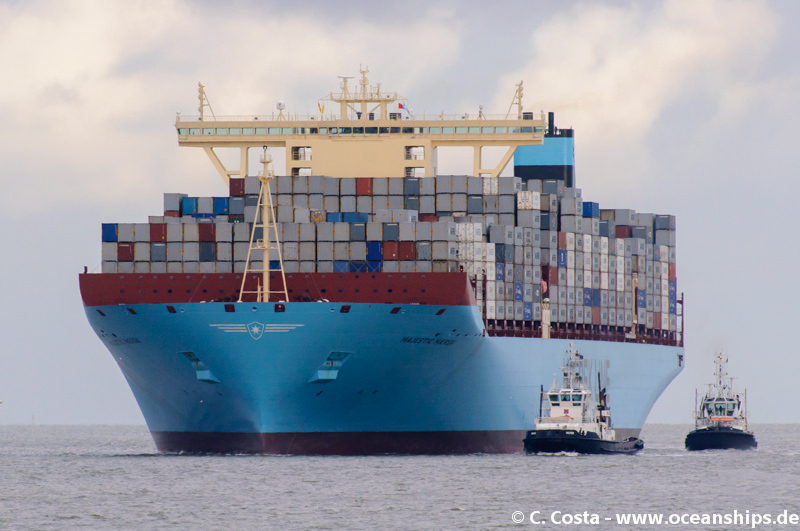 Inoffically UASC’s 19,000 TEU class is a little bit bigger. 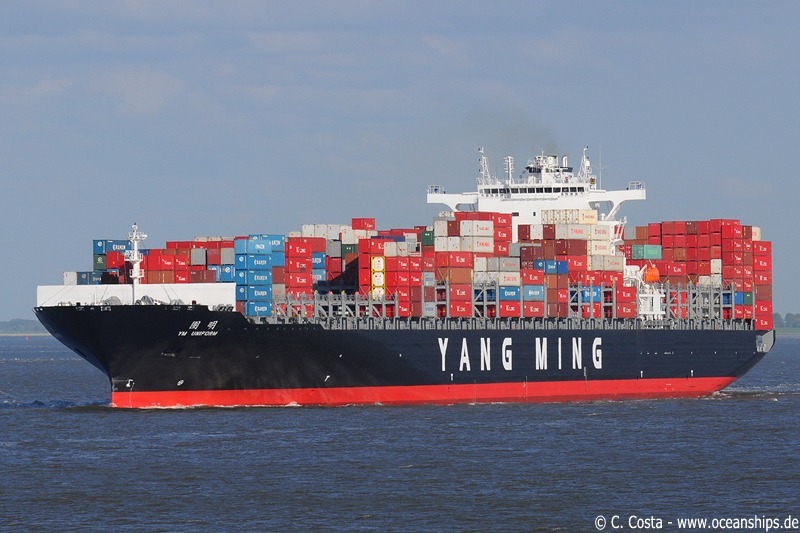 YM Uniform is passing Cuxhaven during her maiden voyage on May 4th, 2009 bound for Antwerp. 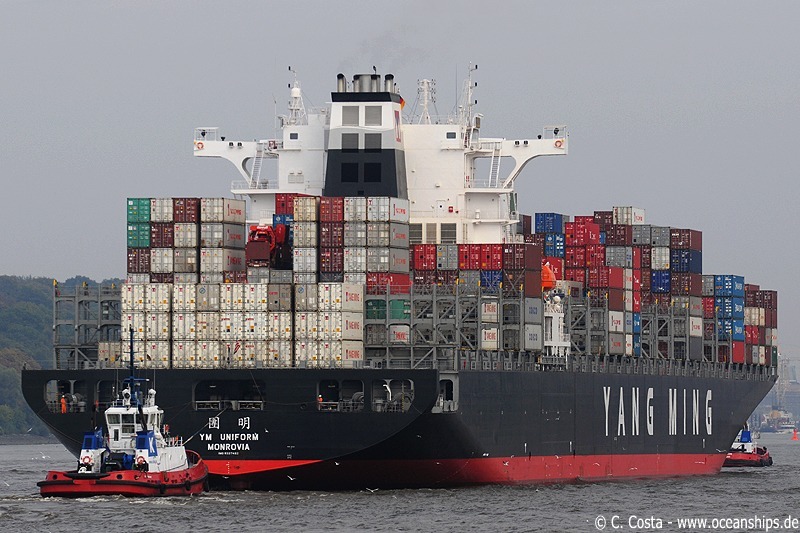 YM Uniform is arriving in Hamburg on September 9th, 2009. 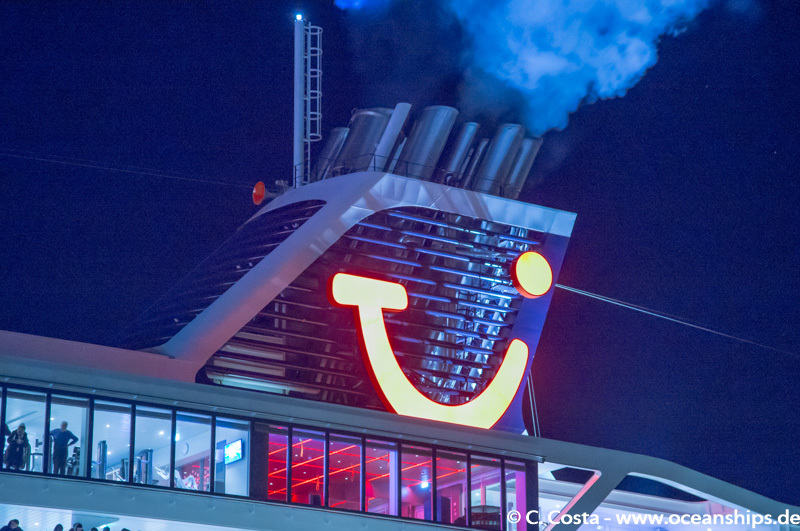 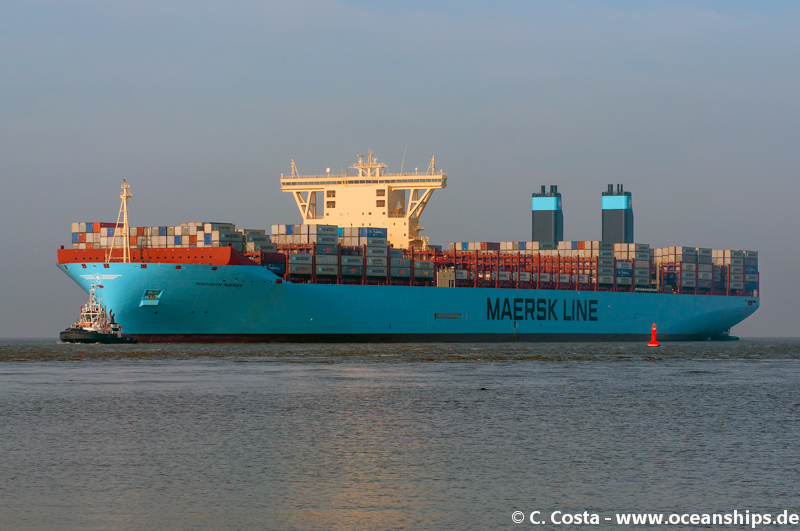 Marstal Mærsk is arriving in Bremerhaven on July 06th, 2014 during her maiden voyage. 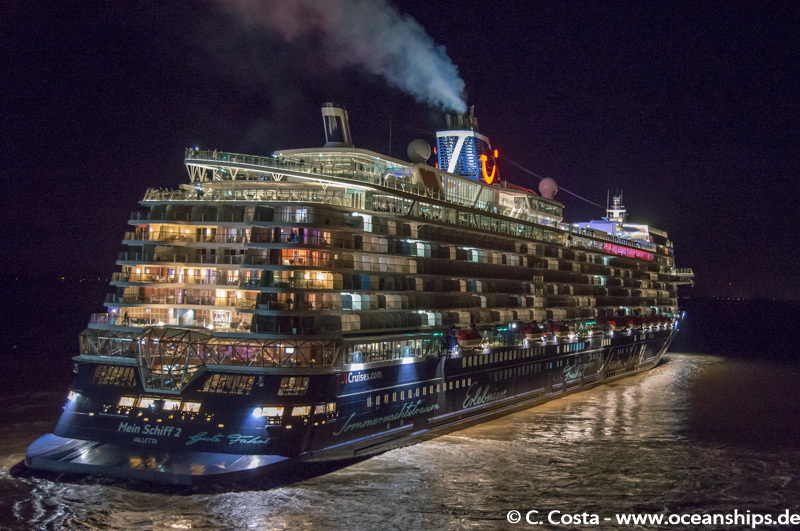 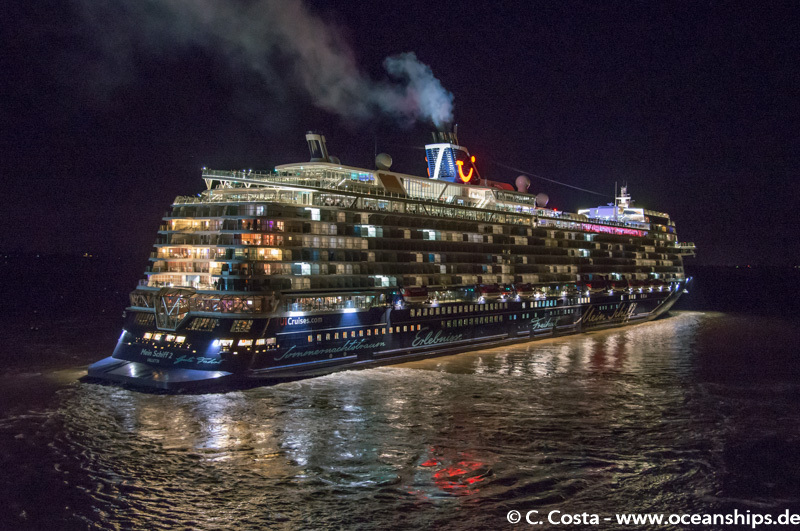 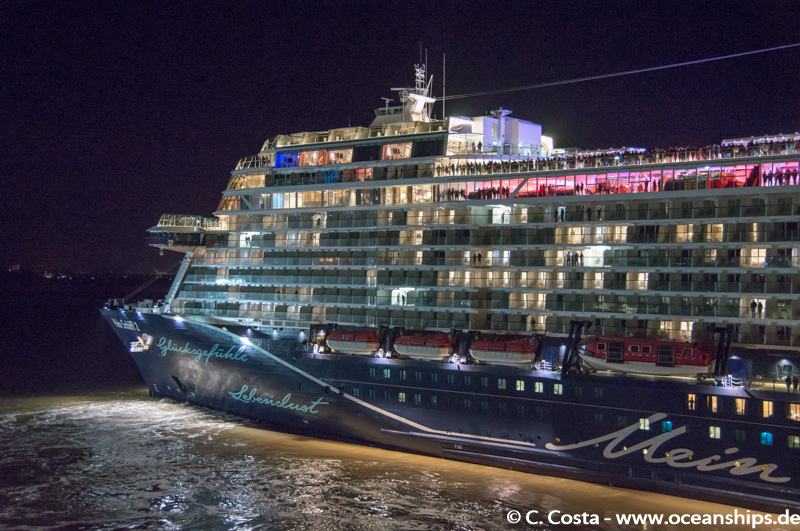 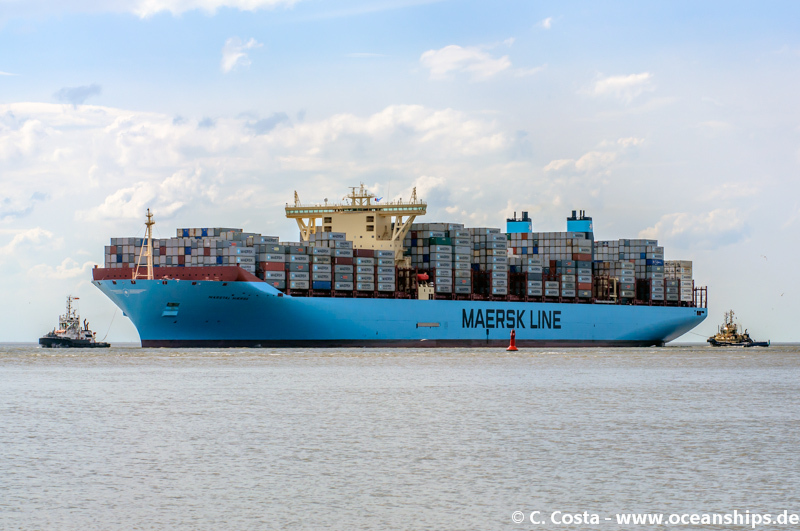 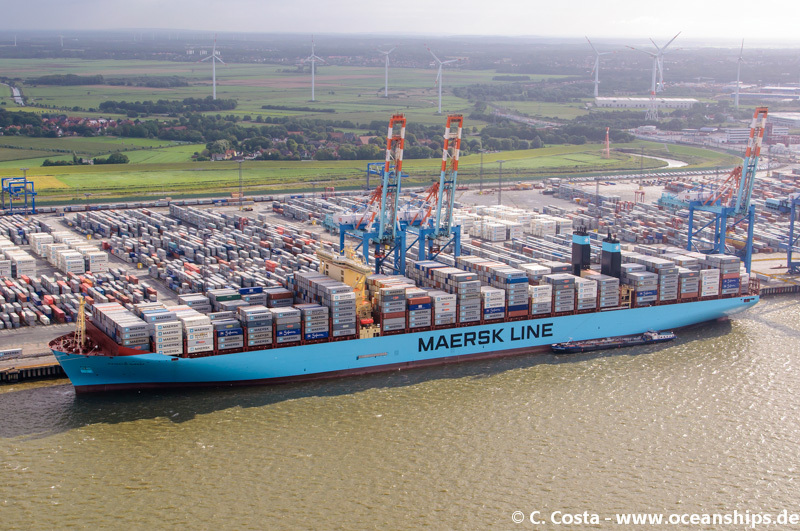 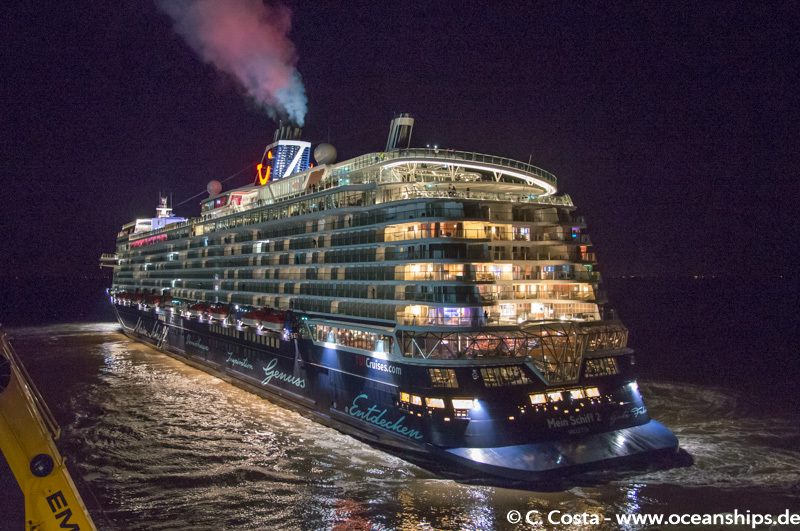 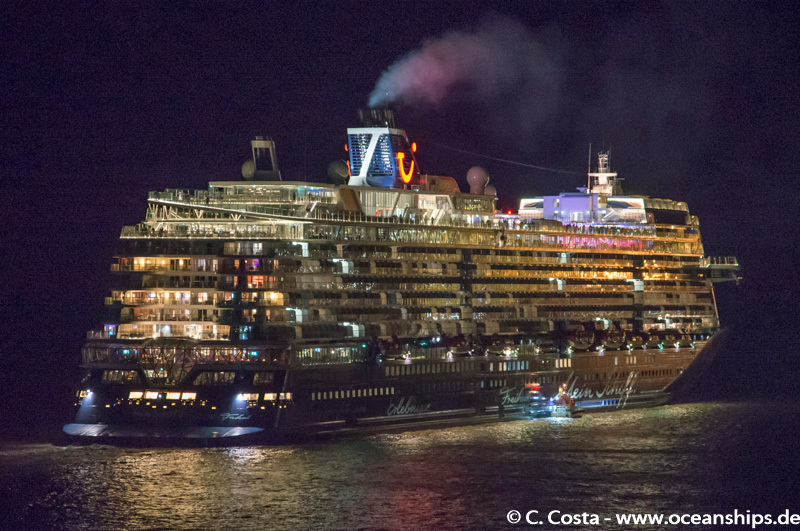 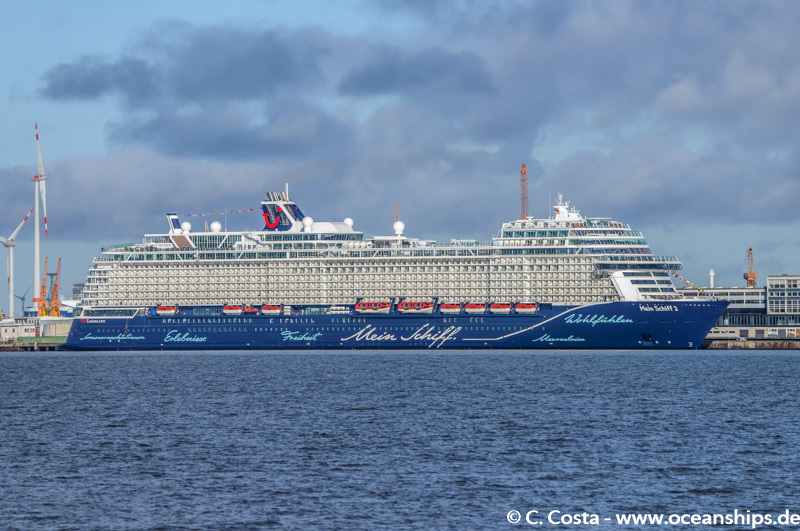 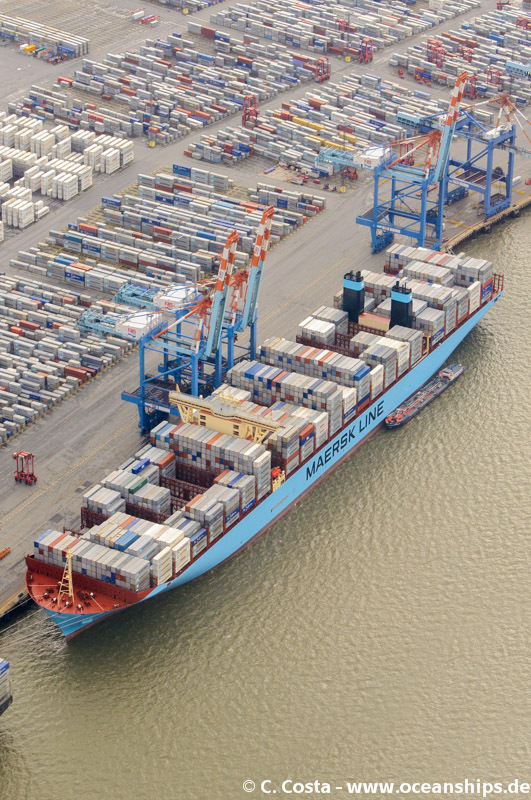 Majestic Mærsk is arriving in Bremerhaven on September 15th, 2013 on her maiden voyage. 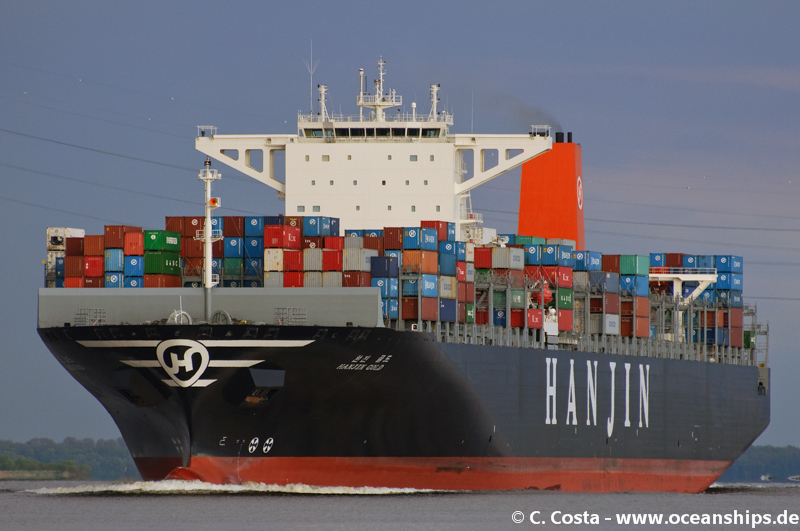 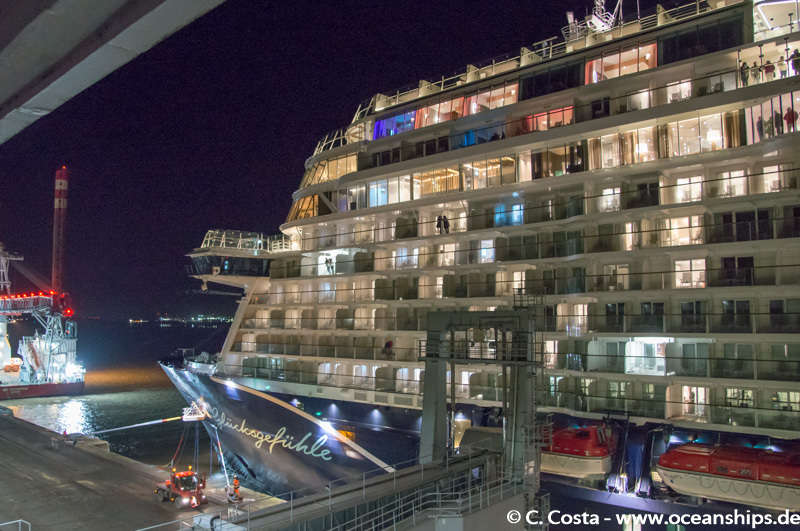 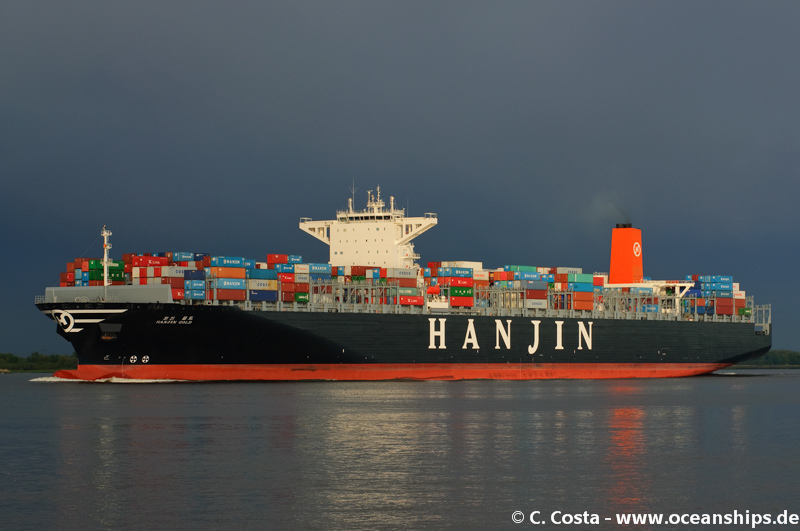 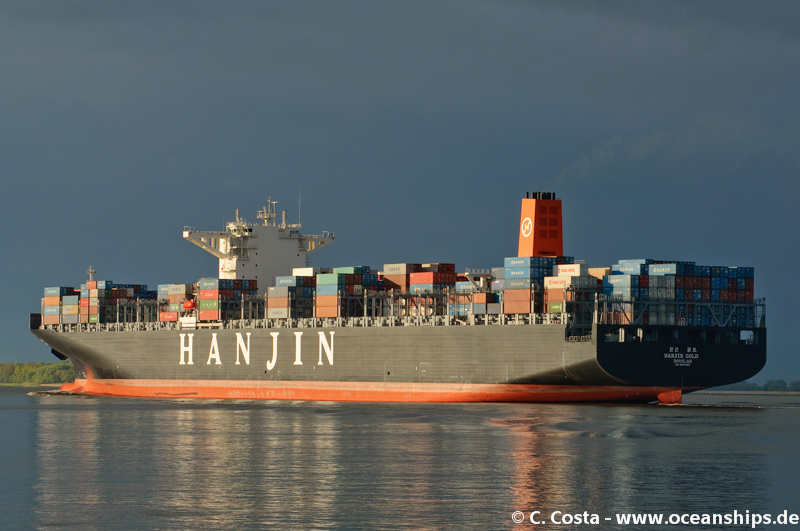 Hanjin Gold is passing Stadersand during her maiden voyage on May 11th, 2013.